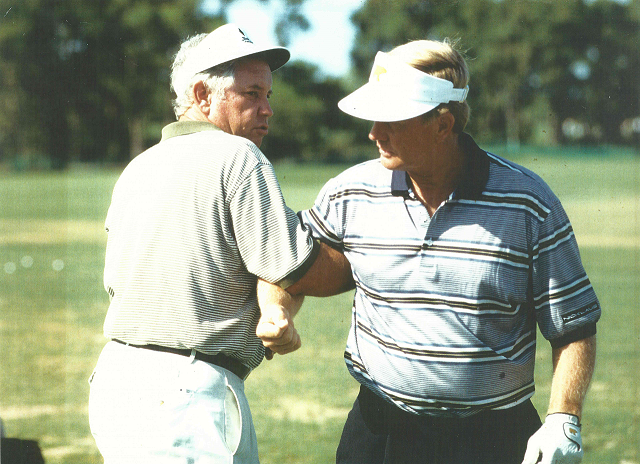 One afternoon, after spending the day making a box of spinner baits for baseball legend Mickey Mantle, David was talking to a doctor on the practice tee and commented that baseball players ​stride into the ball when they swing. He then stepped to the golf ball and imitated a ball player by hitting the shot with his feet in full motion. Boom… the ball came off the clubface like a bullet, flew just as straight, without a trace of hook. “That was the first time in my life where I hit the ball with my entire body mass instead of with just the strength of my shoulders and arms. 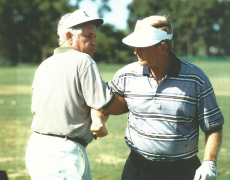 During my whole experience with the game, I had never felt that sensation.” He somehow sensed that the answers that put Jack and Lee Trevino in a class by themselves were not far away and made the decision to get back into golf. 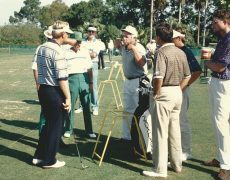 In 1976, while working as first assistant at Houston Country Club, in Houston, Texas, research on the new swing and the golf science behind it began in earnest. After a great deal of study, trial, and error, Lee began to understand the role that “gravity” was playing in the swing, and how it helped to diminish the effort required by the player. “One of my students at Houston was Bill Lane who became chairman of Augusta National for two years after Clifford Roberts passed away in 1977. Bill died of Lou Gehrig’s disease tragically in 1980. 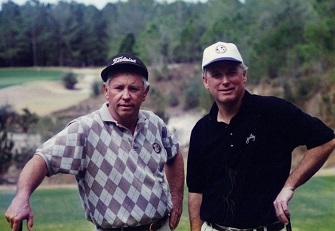 He was the one that got me to name the teaching system “Gravity Golf.” It took almost ten years of non-stop study for Lee to grasp the subtle differences of the modern day swing that he has labeled by the defining name. 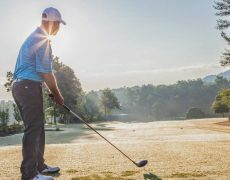 “Most people don’t realize that when the golf swing works at its best, gravity aids it in three different areas to diminish the physical effort required for its execution,” says David. Understanding how it worked was only part of the challenge, the real task was in finding ways to easily communicate it to others. After leaving the PGA Tour at the end of 1977 due to a wrist injury after hitting a heavy shot into the frozen ground in Texas, David Lee played his last season with a fractured bone in his hand that was missed in an X-ray. As the season was coming to a close the bone is thought to have died causing him to lose most of the function in his hand. 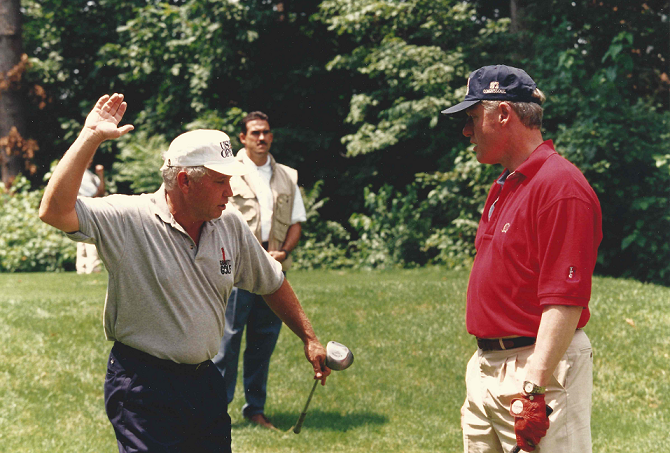 For the sheer love of the game, he stayed with golf. 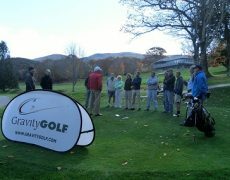 David began doing research on the validity of the current golf science that was available and began teaching full time. 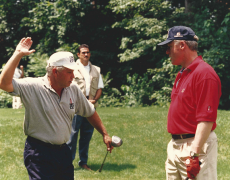 Having had this personal experience of losing the use of a hand, is one of the things that led him to understand the benefits of training each arm individually and the incredible benefits it can do for the golf swing. In addition it also uncovered a new technique for adaptive athletes that can let them play at a level they may never have thought was possible. Inspired many years later after reading a book called The Miracle of Fasting by Paul Bragg, he regained use of his hand after doing multiple water fast up to 2 weeks at a time. 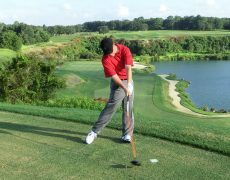 In David’s book the Evolution and Revolution of Golf Instruction, DVDs, and the most recent Gravity Golf Challenge you will discover many revolutionary training techniques that you may never have seen before. Today, David and his son Daniel, who is seen demonstrating the lessons in many of their videos, conduct Gravity Golf Schools at their locations in Orlando, Florida | Carmel, NY | Springfield, OH | La Quinta, CA | Kingston, WA | and other locations around the world. “Most people are unaware that there is an exact “recipe” for hitting a golf ball with total freedom from harmful effort,” says David. It’s unnecessary to understand exactly how it works in order to do it as is noticeable when listening to many of the top touring professionals, but it is certainly in the player’s best interest. Then, when an issue arises, we as players can get to the root source of the problem. The brain is amazing in its capacity to compensate technical flaws in power application. For this reason, golfers have argued for half a millennium over the ideal ​way to swing a golf club. Differentiation between the art ​and the ​science is extremely subtle. Is this player good because he’s a coordinated athlete, compensating inferior mechanics, or does he truly have a technically great swing? Our mission is to end that mystery for you, and to provide an understanding of how to make your golf swing as good as it can possibly be. Study carefully and thoroughly, the answers you are seeking lie within this material. We hope you enjoy. 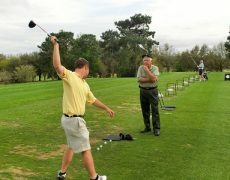 The ​magic of the Gravity Golf system lies in the unique drills that David and his son Daniel have developed. 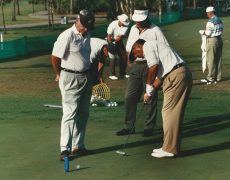 These specialized golf training drills are designed to magnify improprieties in power application, which naturally develops a sense of “feel” for each individual student. The value a player has by learning to create a golf swing in the most efficient manner both from a physics and physiological standpoint, is immense. “Once you sense the difference between moving the ball with connected mass, you can never go back to “beating” on the ball… it will never feel right. 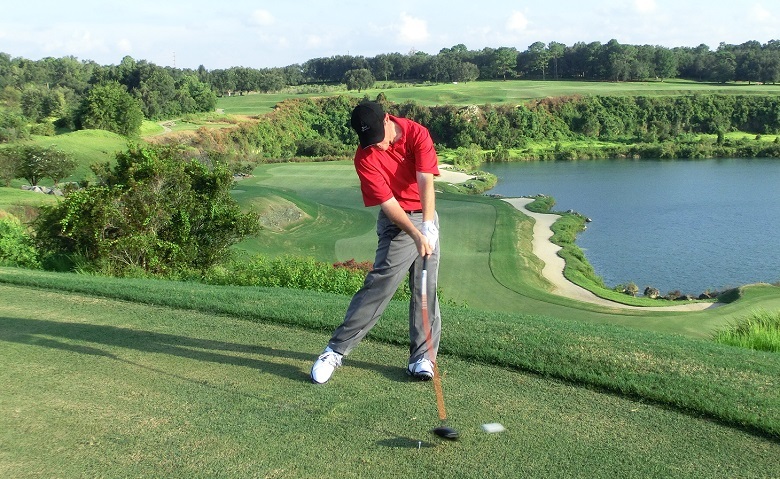 The Gravity Golf Swing is naturally designed around the same principles utilized by many martial artist. These highly trained individuals utilize leverage and the power of kinetic energy through gravity and momentum. In this manner they can flow effortlessly, instead of flexing their muscles” says Daniel. 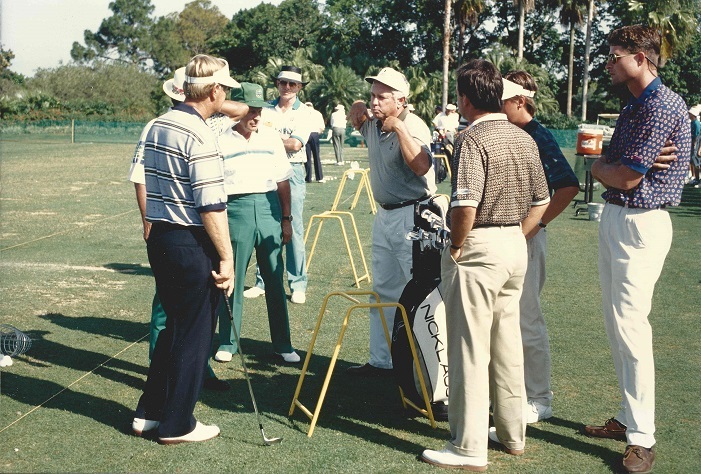 Many advancements in the communication of the technique have been developed since 1994, the year David Lee released his first book entitled Gravity Golf: The Evolution and Revolution of Golf Instruction. 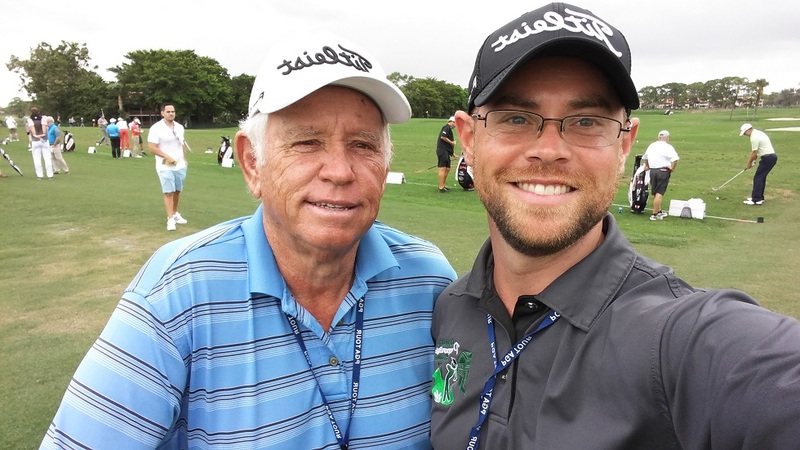 David and Daniel have received many requests for a step-by-step curriculum, now coined The Gravity Golf Challenge, to learn and practice the concepts from their own golf course. This work represents their latest efforts and has been created for all types of players wishing to improve. Inside are learning tools and a progressive goal oriented learning platform to take players to a scratch level and beyond. Each lesson is broken down into 2 videos with one by David on the Science and the other by Daniel on the How To. D. C. Lee, David Lee’s grandfather, who was a golf fanatic and obsessed with the idea of golf science, hooked little David on the game at the tender age of four. As a child, David was fascinated with how things worked and took everything apart to see what made it function. “He disassembled practically everything mechanical around the house he could get his hands on, just to see how it worked.” said Nell Lee (his mother). At the age of twelve, David naturally started having an interest in studying the human body growing up in a family of doctors and began assisting his father, Bob Lee who was the county pathologist. As a teenager, David won the Arkansas State High School Golf Championship and captained the University of Arkansas golf team for two years before turning professional. When he joined the PGA Tour in 1970, he quickly realized the existence of better technique than he had learned as a child. However, none of the high level pros could explain to him how their swings worked, even though they had developed superior mechanics. 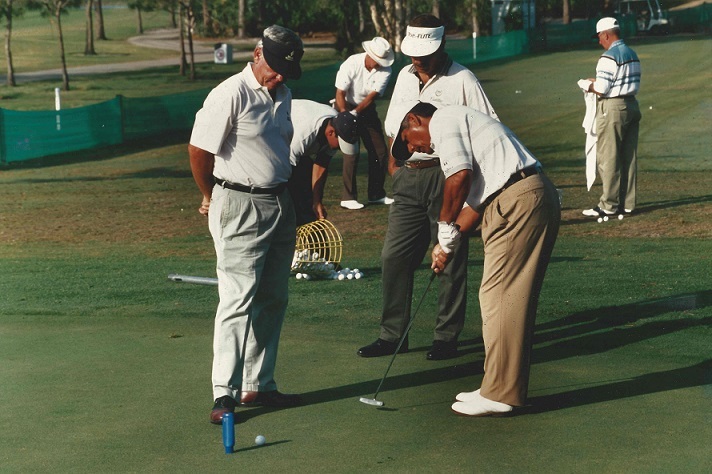 “Taking the golf swing apart on my own and understanding how it should ideally function, was the most difficult thing I had ever tackled,” says David. 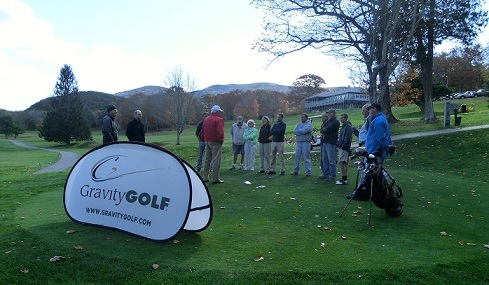 Creating a paradigm shift in the way the world learns the game of golf is a daunting task. As desperately as the world needs a faster, easier way to learn this great sport, golf is “stuck in a rut” of being taught essentially the same way it has been for centuries. Why is that? We believe it’s because the ideal technique that will perfectly motor a swing, has until now, never been identified. The world has been in an argument for over five-hundred years about who has the best technique. There has never been a baseline established for how a technically perfect swing is supposed to function. 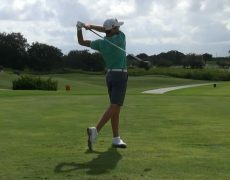 The swing-path in a golf swing is a very, very fragile thing that can be thrown off its track by the slightest misfiring of any one of a huge number of muscles. However, the brain is such an awesome compensator, it can hide those flaws to a large degree and make their detection almost impossible to identify. In fact, many great players have enjoyed tremendous success with technically flawed golf swings. For more than half a millennium in the game of golf, we have been unable to differentiate between the art and the science. The objective of David and Daniel Lee’s research has been to change that sad situation. 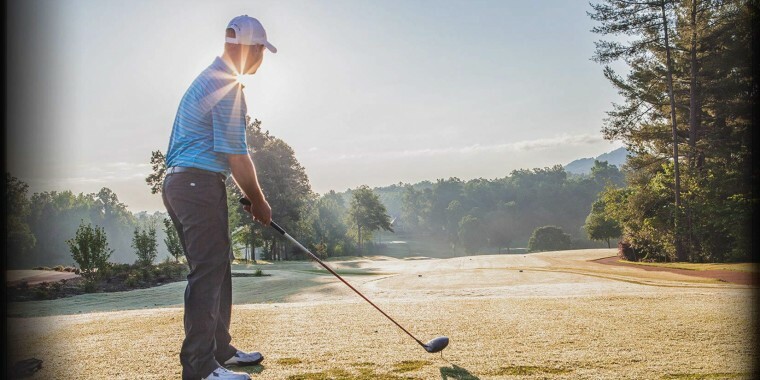 We now know how a physiologically ideal swing is supposed to work, and more importantly, how to create the necessary learning environments to train anyone ready to learn. Through our various programs and instructional materials, it is our intent to share that information with the world. If you study our science, you’ll soon realize that the answers you’ve been searching for in your game really do exist – and when you implement those discoveries in your swing, your golf life will forever be changed for the better.